If there's one thing we look forward to during the winter, it's planning our summer holidays. It's all about getting a bit of a tan in a place far from home - and if you're lucky, but the see. In Britain, we head to the south in Summer for a simple reason: the sunshine lives there. Precisely, the sunshine lives in Cornwall. St. Ives was one particular town that always caught my eyes. The idea was to spend time at one of the top 10 best beach destinations - as chosen by Trip Advisor - as well as taking time to explore art galleries and slipping your feet into the sand at this ideal summertime spot. Unfortunately staying at St. Ives is not an easy, or cheap, option when it's such a popular holiday resort for families. It's, in a word, packed. An easier way to enjoy the seaside town is to visit there for a day, rather than have the hassle of trying to find accomodation. Take the Train: My accommodation in Cornwall was still a few miles away in Parranuthnoe, but it didn't stop me to get the train from Lelant Saltings to St. Ives. It saves you money and time to leave your car at the train station rather than driving all the way to St. Ives. And the journey? The journey is fantastic. Just 10 short minutes and it's pure enjoyment. It's one of the UK's best scenic railway journeys. Walking in town: As you would expect, the city was really busy. Cars, children, deck chairs, dogs and everything else you could imagine people take on their holidays. At the beginning it can be a little annoying walking the streets with so many people around. At the same time, the buzz is also a joy when you realise that people just love being there shopping, eating Cornish pastries or simple admiring the medieval fishing town. 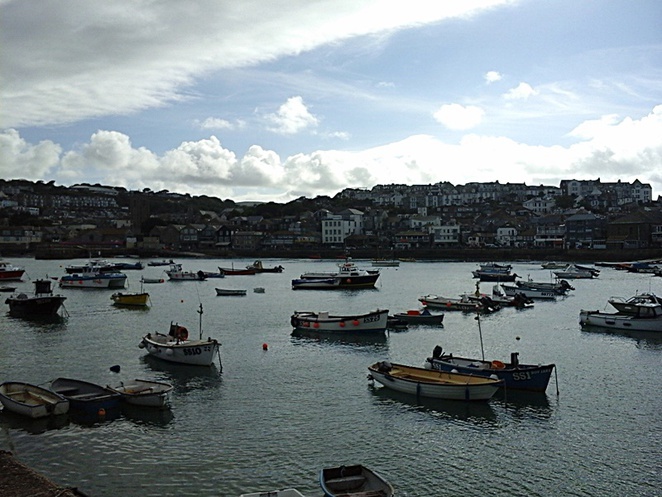 So, walk through the narrow streets and find out as much as you can about the history of St. Ives. Fish & Fish: One of my pet hates is leaving a new place without trying their local bars or restaurants. 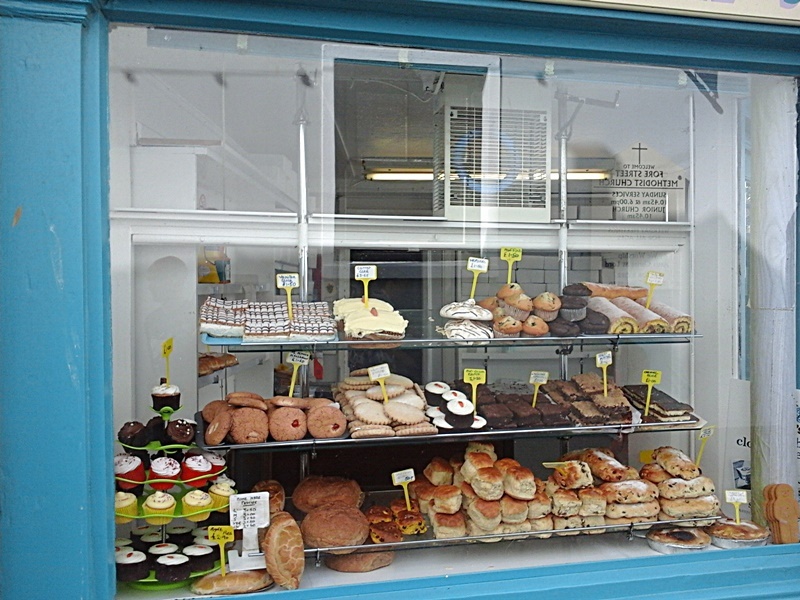 In St.Ives we had plenty of choice for eating and drinking. It can be a nightmare to get a table if you don't have a proper look around first. So if you're only visiting for a day, go for the local takeaway, or head to the streets to get sweets and snacks from the local shops. St. Ives was the most important fishing port on the North Coast during the medieval period, so Fish & Chips is a very fitting meal. You may have to fight for a free bench if you want to enjoy the beauty and breeze of the harbour beach. It's stunning! Art fixing: St. Ives is a melting pot for artists. The city has its own Tate and it's the perfect spot to inspire new talent and creative people. There are art galleries all over St. Ives. Make the most of it and bring something unique back home. From jewellery to pottery, there's plenty around. Coastwatching: Located high on the island, the National Coastwatch Institution gives one of the most beautiful views of the town and the coast. 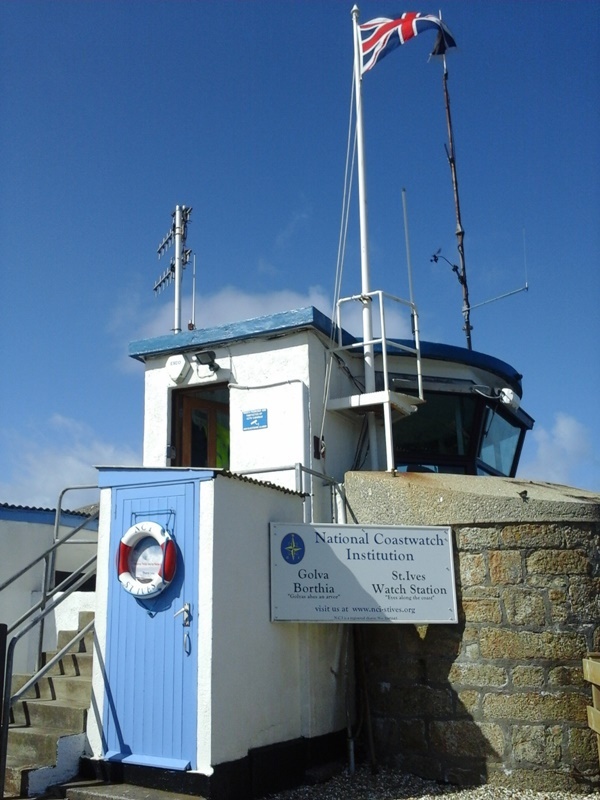 It's also got an important job to provide information about the weather and sea conditions to mariners, fishermen and visitors. Take off your shoes: … and enjoy the sand and the beach itself. St. Ives has four stunning beaches to enjoy. I chose Porthmoer beach to put my feet in the sand not only because it was the quieter (believe or not) one that day, but also because it's a stunning spot. The beach faces the Atlantic ocean and it's a gorgeous way to finishing your visit to St. Ives. Serenity and beauty. There is nothing wrong about these two put together.